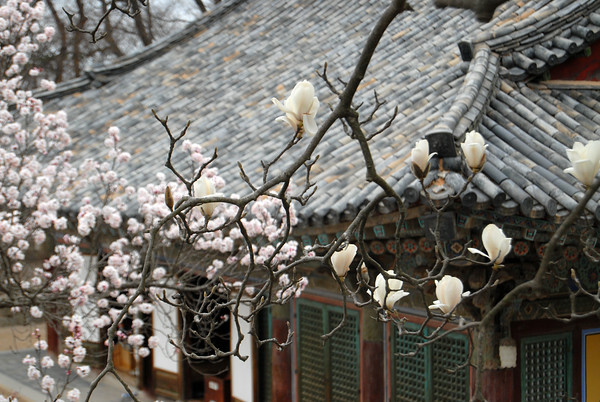 Sunday Photo; Magnolia and Plum Blossoms at Bulguk Temple – Wake Up and Laugh! Gyungju, in general, is probably the best place to see blossoms in Korea, and any trip to Gyungju isn’t complete without a visit to Bulguksa. This will the be only the second year since I’ve lived in Korea that I won’t be making a trip to Gyungju, but I’ve got enough photos stocked up to last a decade of Sunday Photos! lots of greetings to Korea!